Calderdale Council remains a hung council. Labour are the largest party with 24 seats, down one. Conservatives have gained 2 seats and now have 21 members. The Lib-Dems lost one seat and now have 5 seats. We have invited candidates standing for election to Calderdale for the Calder ward (covering Hebden Bridge) or Luddenden Foot ward (covering Mytholmroyd) to tell HebWeb readers why they should vote for them on 7 May. We have had five responses - see below, listed in the order that we received them. If other candidates from either ward would like to be included, please get in touch with the HebWeb. 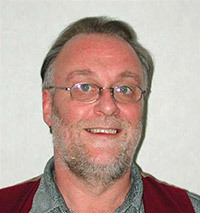 Councillor Dave Young was elected to Calderdale Council in 2011 after years of public service as a District Councillor. 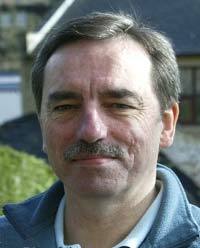 He moved to Calder Valley in 1995 and was elected to Hebden Royd Town Council in 2003, where he is Labour Group Leader. Since being elected, Cllr Young has resolved hundreds of issues for constituents and has a track record as a hard-working councillor. In 2012, thanks to Cllr Young, thousands were exempted from Council Tax Benefit cuts after the Council backed his plan to use money from reserves. 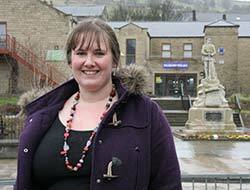 Cllr Young has recently been on the side of residents fighting plans for a Sainsbury's in Hebden Bridge. He has campaigned against plans to close Calderdale A and E, helped secure more funding for Upper Valley Flood Defence work and new classrooms for Old Town & Colden School. He has supported resolutions at Calderdale against the Bedroom Tax and Fracking and for a national Financial Transaction Tax (Robin Hood Tax) to raise money from banks and financial institutions to offset Government cuts of £100M in Calderdale since 2010. He is currently working with Hebden Bridge Partnership to move the Market to Lees Yard. Cllr Young was instrumental in setting up the first Co-operative Pub in West Yorkshire, the Good Old Fox & Goose where he chaired the Steering Group for over 2 years to help make the dream a reality. He said: "I'm proud of Labour's record standing up against the vicious cuts imposed by this Con/Dem Government and if re-elected in May I will continue to help the most vulnerable in our community." From a political family, I've followed elections since the sixties. You always hear "I voted for X party all my life but never again!" statements, but I cannot remember an election in my lifetime where I heard so many voters saying how they have absolutely no confidence in the main parties. I've seen the debate here about the right to vote or not to, and why people are making that choice. My standing again is about continuing to give local voters a choice; party activists or a community activist. I simply ask the disenchanted to add their vote to the 466 people who voted for me in 2014 as an individual offering a community focused representation rather than one just making up party numbers to grab power. Most parties have some good councillors, I respect those who identify a local issue and set about resolving it by getting key people around a table (regardless of politics) and persisting with co-operative based solutions. Sadly such councillors are few, but that would be my approach as an Independent councillor. Elections seem to be all about exaggerating what your party will do, or attaching yourself to other's successes with a good photo opportunity. It's become about claiming credit for whatever you can. I prefer the philosophy suggested by a well-known US basketball coach, John Wooden – "There is no limit to what can be accomplished when no one cares who gets the credit." So, to those fed up with the usual brand of party politicians, I say, please do vote, just not for another party. Try an Independent who will work in all constituents' interests. 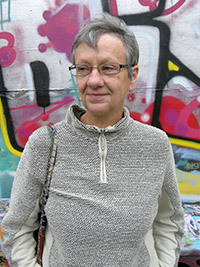 About me: I have lived and worked in Calder Ward for 15 years where Christine and I own and run Angeldale Guest House. I recently took on the Chair of the Upper Calder Valley Renaissance Company with the aim of reviving its ability to link community groups valley wide, and access funding to support those groups and projects. I'm a board member of Hebden BridgePartnership and a member of Todmorden Civic Society. In recent years I have been a board member of Hebden Bridge Community Association and worked on the Todmorden market steering group. Resilient Communities: We know services and facilities are under threat from cuts in local authority budgets, let's not pretend it can be reversed in four years, if at all. Some services will need to be provided from within the community. I will work to see community organisations are developed, trained, funded and prepared to take on those services. The visitor economy = jobs and youth training: Both towns in Calder Ward have been given a gift by nature and independent business determination. We have fantastic potential to take advantage of assets that attract people to visit our valley. I want to see an appropriate accommodation facility which provides for visitors, supports local venues and events and provides jobs, apprenticeshipsand training to support our valley wide visitor economy. I am a candidate in Luddendenfoot Ward and live in Mytholmroyd. I've worked in the NHS and in education and now work part time as a freelance University teacher. I love the area and the countryside and can often be seen walking with my two rescue dogs. I believe in fairness for all and am strongly opposed to the way the main parties want to make ordinary people suffer. Fight the austerity measures proposed by the other parties and campaign for improved services for those who need them. Campaign for more protection of the local environment with increased investment in energy conservation and renewable energy technology. I would also push for more work on flood prevention in terms of upland management and tree cover. To campaign for improved and integrated bus and rail services. I've also been chosen to contest Hebden Royd Town Council's White Lee Ward for the Green Party. As a Green Party Town Councillor I will campaign to raise the profile of Mytholmroyd so that it takes an equal place alongside Hebden Bridge. I will also fight to promote and improve the area by campaigning to improve local bus and rail transport and press for better parking for cars and bikes at Mytholmroyd station. Road safety is a problem in parts of Mytholmroyd and I will campaign strongly for better enforcement of the speed limits. I believe that we need to improve the sustainability of local houses so that they are warmer and cost less to heat. We already grow some food in Mytholmroyd and I want to promote this and increase the amount that's grown and work towards a more local and sustainable economy. I have lived in Hebden Bridge for 26 years and brought up my three children here. I care passionately about the Upper Valley and believe that representation of local people by The Green Party in Calderdale Council would be of strong local benefit. The Green Party's policies are underpinned by a philosophy in which the needs of people are inter-dependent on the future of our planet and the health of our local environment. We believe in a society based on co-operation and democracy which benefits the many and not just the few. I'm particularly concerned about giving opportunities to young people and creating a better future for them. For many years I was involved in organising Hebden Bridge Junior Band in which both my sons played and I know a lot of young adults from that network. One of the reasons I am standing is that I hear from younger voters, who may have become disillusioned with the 'grey parties' that the Green Party offers hope for the future and they want to vote Green. My two sons, Rory and Hamish, have both become Green Party members and are active in campaigning on green issues. As Councillor, I would work to end the austerity-driven war on the poor, pushing for better services for vulnerable people and those in most need of support, and seeking to halt any further outsourcing of public services to the private sector. I would work to protect adult social care and the NHS. The crisis in adult social care is an issue affecting us all. Current Council budget proposals based on cutting costs through outsourcing social care will deepen the crisis, and it will have a knock on effect on health services, especially in A&E. It is shameful that we treat care for our frail elderly as a tradable commodity. If elected I will be pushing for the council to formally consult the public about these major changes. I am an arts producer and believe fervently in the power of arts and culture to transform lives. With Imove Arts I have produced projects in the area in each of the past four years, including the dance extravaganza Imove On The Street, Wordstones bearing the words of young writers in the area, launched by Simon Armitage, all in association with Hebden Bridge, as well as The Grand Departs with Hebden Bridge Piano Festival to celebrate last year's Tour de France. I would work hard to ensure that the vibrant creative life of the Upper Calder Valley is invested in and nurtured to fulfil its potential to bring greater economic, cultural and social benefits to Calderdale. I've worked in Mytholmroyd for 13 years. I first got involved in local politics three years ago when our local Sure Start nurseries came under threat from the Tories. Since then I have been almost continuously out on the doorstep throughout Luddendenfoot, Mytholmroyd, Midgley, and the surrounding area, meeting people and finding out what they need from their local council. Despite working (almost) full time and being the mother of three small children, I devote all the hours I can to campaigning for the help and support that people in our area need, whether they are working parents and children, local businesses, elderly people, or the poorest in our community. In addition to the A&E and Sure Start campaigns, I have been active in local Labour-led initiatives such as the "20 is Plenty" campaign and "Ambition for Mytholmroyd" project. To find better ways to support the growing number of elderly and isolated people living in Mytholmroyd, Luddendenfoot and the surrounding areas. I ran for this seat last year, losing to the Tories by 17 votes. This meant we couldn't carry out our plans for the community and also delivered the Tories control of Calderdale Council overall. I am running again because I believe the poor and the vulnerable in our community need our support, and I know how just a few votes can make the difference they need.